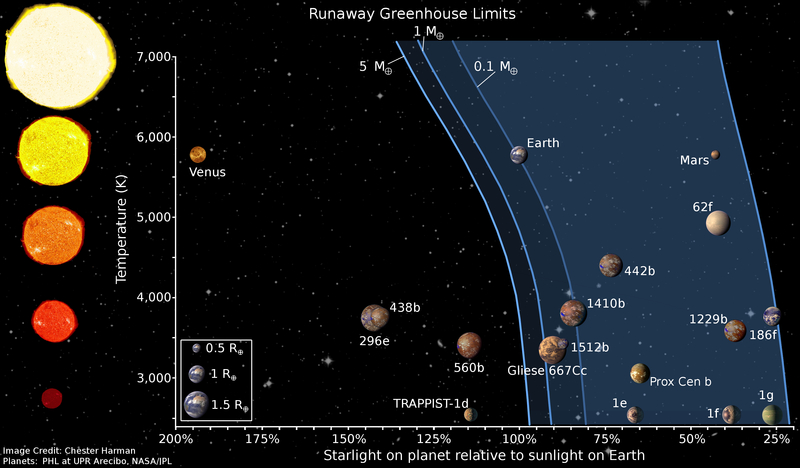 Here we offer an interactive calculator that estimates Habitable Zones around Main-sequence stars with effective temperatures in the range of 2600 K - 7200 K. The default values are for the Sun. If you don't know the stellar luminosity, just enter stellar effective temperatures and keep luminosity = 0. That will give just Habitable stellar flux boundaries. 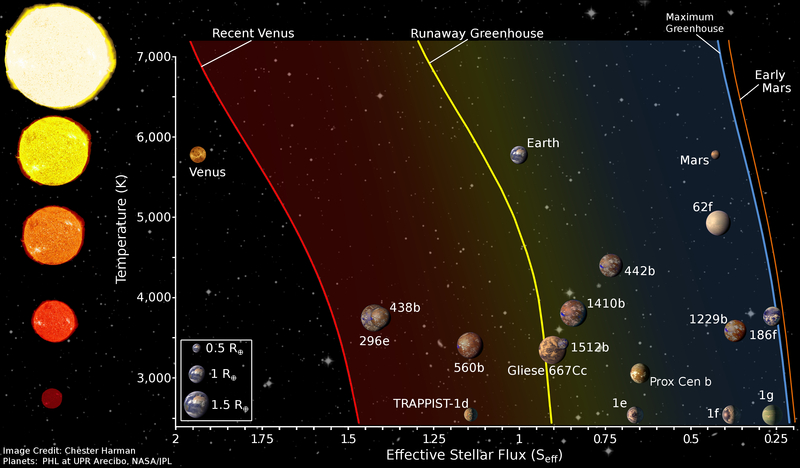 If you provide luminosities, you can also obtain habitable zone distances in AU. If you want to calculate HZs for a number of stars, download this FORTRAN code.